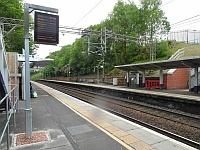 Assisted Travel Text Relay service, (for the hard of hearing): 18001 0800 912 2 901. 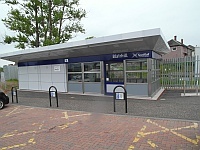 You are on Opening Times (Ticket Office). 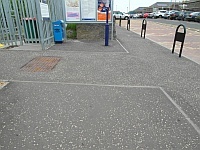 Skip to the next section. 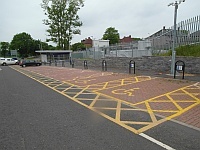 The dimensions of the Blue Badge parking bay(s) are 425cm x 610cm (13ft 11in x 20ft). 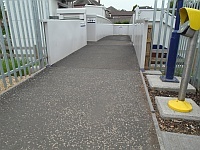 The furthest Blue Badge bay is 49m (53yd 1ft) from the main entrance. 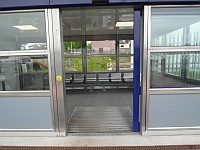 The width of the door opening is 122cm (4ft). 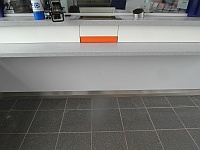 The desk/counter is 3m (3yd 10in) from the ticket office entrance. 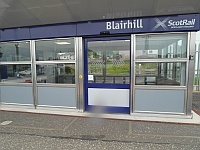 You are on Outside Access (Platforms 1 & 2 Entrance). Skip to the next section. 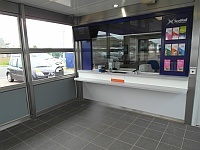 This information is for the entrance located to the right of the ticket office. 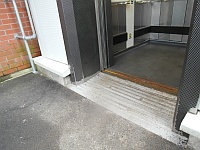 The width of the entrance is 250cm. 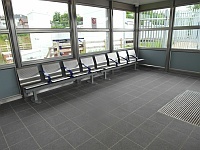 You are on Level Change (Platforms 1 & 2 Entrance). Skip to the next section. 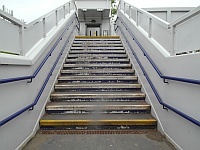 The step(s) is/are located leading down to either platform. 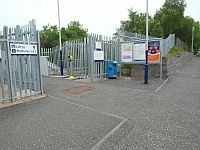 You are on Lift (Platforms 1 & 2). Skip to the next section. 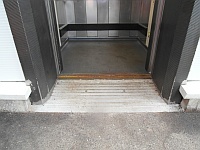 The floors which are accessible by this lift are Ground to Platform. 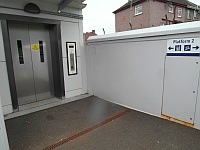 The lift is approximately 12m (13yd 4in) from the platforms 1 & 2 entrance. 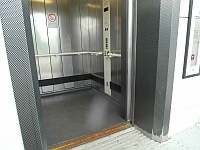 The dimensions of the lift are 139cm x 150cm (4ft 7in x 4ft 11in). 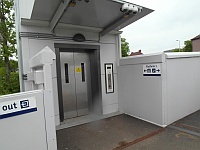 A similar lift for platform 2 is located across the level bridge, 32m from the entrance. 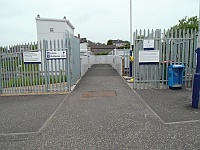 There are generally 2 member(s) of staff on duty. 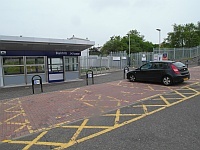 The station is not staffed between 20:30 - 06:35 Monday to Saturday and all day Sunday. 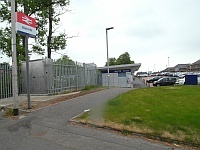 The ticket office is located just before the entrance. 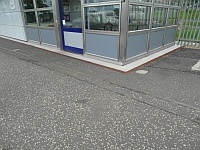 The ticket office is 5m (5yd 1ft) from the platform 1 & 2 entrance. 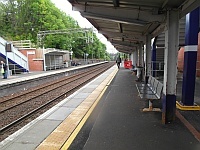 The train companies operating from within this station are ScotRail. 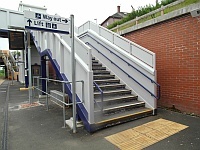 The platform(s) accessed by lift is / are 1 & 2. 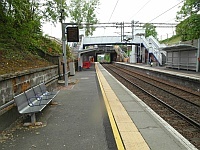 The platform(s) accessed by ramp / slope is / are 1 & 2. 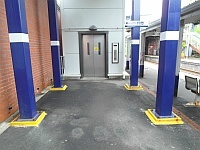 The platform(s) which can be accessed by either level access / ramps / lifts / stairclimber from inside the station is / are 1 & 2. 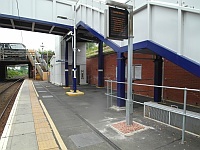 Wider ticket barriers are not available to access platforms. 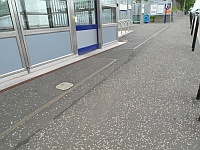 Platforms which have tactile markings at the platform edge are 1 & 2.